Minister's remarks an insult to Aung San Suu Kyi and her father. John Moe. 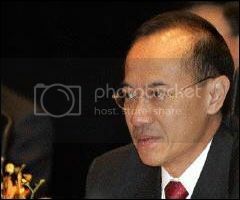 I refer to the article published by The Online Citizen (TOC) on Sunday, 2 August 2009, reported by Ravi Philemon under the title, “George Yeo’s Meet the People Session at McDonald’s”. According to the TOC report, Mr Yeo made some controversial comments about Burma’s pro-democracy icon, Daw Aung San Suu Kyi, her husband and her family, including the much-loved father of Aung San Suu Kyi- Burma’s independence leader, General Aung San. 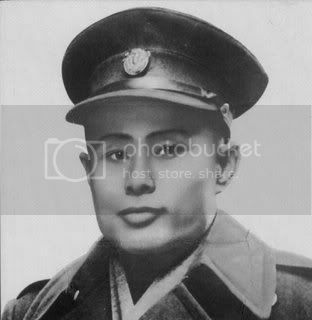 General Aung San, the leader of Burma’s independence movement, was assassinated on 19 July 1947. Burma’s first constitution was established in 1948. Therefore Mr Yeo’s incoherent comments were completely incorrect. The Burmese military did not rule the country “since independence”, as Mr Yeo said. Chronologically, Burma was a fully democratic republic from 1948 to 1962. On 4 January 1948, the nation became an independent republic, named the Union of Burma, with Sao Shwe Thaik as its first President and U Nu as its first Prime Minister. Mr Yeo is thoroughly mistaken. The 1948 Constitution stated: “No person shall be eligible for election to the office of President unless he is a citizen of the Union who was, or both of whose parents were, born in any of the territories included within the Union.” Aung San Suu Kyi’s parents were both Burmese. She was born in Burma and she is still a Burmese citizen. 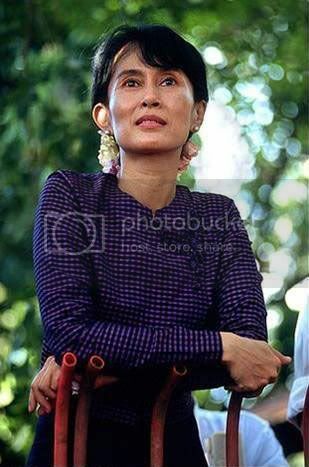 Therefore she can be President of Burma, as stated in the Consitution. 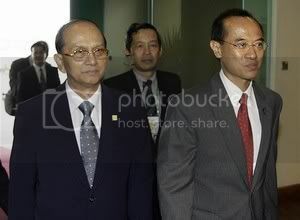 Mr Yeo’s comment is thus a great insult to Aung San Suu Kyi and her family. Also, Mr Yeo, who is Singapore’s Foreign Minister, has insulted over 52 million Burmese who hold the highest respect for General Aung San. As Burma’s first constitution was established only in 1948, after General Aung San had been murdered, it is impossible for General Aung San to create a rule to ban any Burmese who married a foreigner from ruling the country . The military junta only introduced the rule in 2008, deliberately aimed at preventing Aung San Suu Kyi’s participation in the 2010 elections. Mr Yeo would have Burmese adhere to the Constitution which was first suspended when General Ne Win came to power through a coup, and which was later amended by the junta for political purposes. Equally, should not Mr Yeo be demanding that the Burmese junta adhere to the results of the 1990 elections which Aung San Suu Kyi’s NLD won overwhelmingly? Mr Yeo’s comments, which shows his ignorance of Burmese history, has added fuel to the fire, especially at a time when Aung San Suu Kyi is in a politically-motivated mock trial for breaking the conditions of her house arrest. The charges were laid after an American man paid an uninvited visit to her home. It is widely expected she will end up in jail. The verdict of her trial is expected to be delivered on Friday. Mr Yeo said: “It was because her husband is a foreigner and from the ‘western world’ that the ‘western world’ has come to support Aung San Suu Kyi and have failed to recognise the rule of the military”. In 1972, Aung San Suu Kyi married Dr Michael Aris, a scholar of Tibetan culture, in Bhutan. The following year she gave birth to their first son, Alexander Aris, in London; their second son, Kim, was born in 1977. Following this, she earned a Ph.D. at the School of Oriental and African Studies, University of London in 1985. Mr Yeo denigrated not only Aung San Suu Kyi’s personal life , his comments also cast aspersions on her family and her supporters. Mr Yeo’s labeling of Dr Aris as someone from the ‘western world” shows his lack of sympathy for Aung San Suu Kyi, her husband and their children. Dr Aris died of cancer on his 53 birthday on March 27 1999. He had requested to see his wife one last time in Burma but his request was denied by the military junta. The fact that the ‘western world’ supports Aung San Suu Kyi has nothing to do with her husband being a foreigner . The support for the Burmese cause and for Aung San Suu Kyi comes from all parts of the world, including Asean countries. Burma’s political imbroglio is created by neither Aung San Suu Kyi nor her party, the National League for Democracy (NLD) . The NLD had won a landslide victory in the 1990 elections organised by the military junta which, till today, has refused to hand power over to the NLD. Burma’s problems are created by the military regime itself such as forcing millions of ethnic minorities to flee to neighboring countries, ignoring humanitarian aid to cyclone Nargis’ victims and killing monks and protesters. The military regime imprisons thousands of political prisoners. News are now emerging that the regime is also seeking to build nuclear reactors with help from North Korea. Ironically, Mr Yeo’s statement is contradicted by Singapore’s Senior Minister, Mr Goh Chok Tong, who had said that “Singapore investors will likely wait until after Myanmar’s elections next year before pouring any more money into the country”. His comment came at the end of a four-day trip to Burma in June where he met with Burma’s top generals, including Senior Gen Than Shwe. To conclude, Singapore’s Foreign Minister insulted Aung San Suu Kyi, her husband Dr Michael Aris and Burma’s independence leader, General Aung San. Given the fact that Mr Yeo has gotten his facts wrong, Does he not owe Aung San Suu Kyi – and the Burmese people – an apology?